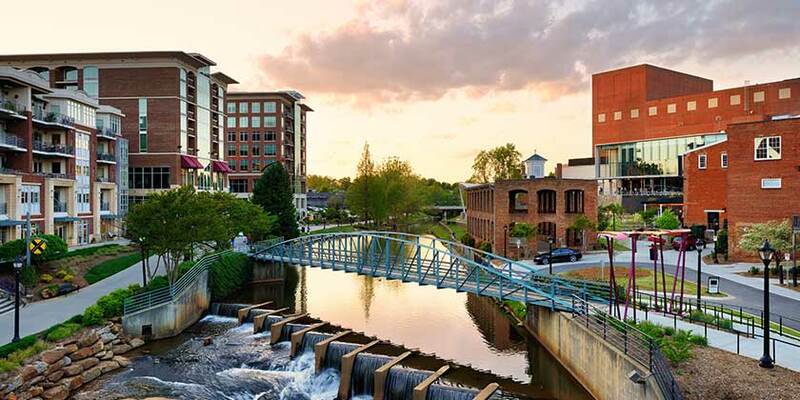 Visitors looking for outdoor adventure, historic charm, and entertainment will be thrilled with Greenville’s vibrant atmosphere and Spartanburg’s artistic flair. A Greenville/Spartanburg vacation has something special in store for everyone. Greenville and Spartanburg each have a colorful arts culture. The Village of West Greenville and the West End Historic District are both filled with art galleries, studios, and weekend markets. The musical collage of jazz, pop, rock, and other events signals the start of summer in downtown Greenville. Plus, Music on Main brings locals to downtown Spartanburg to enjoy live music every Thursday from April through August. The great weather allows for outdoor activities all year long, so the fun never ends.